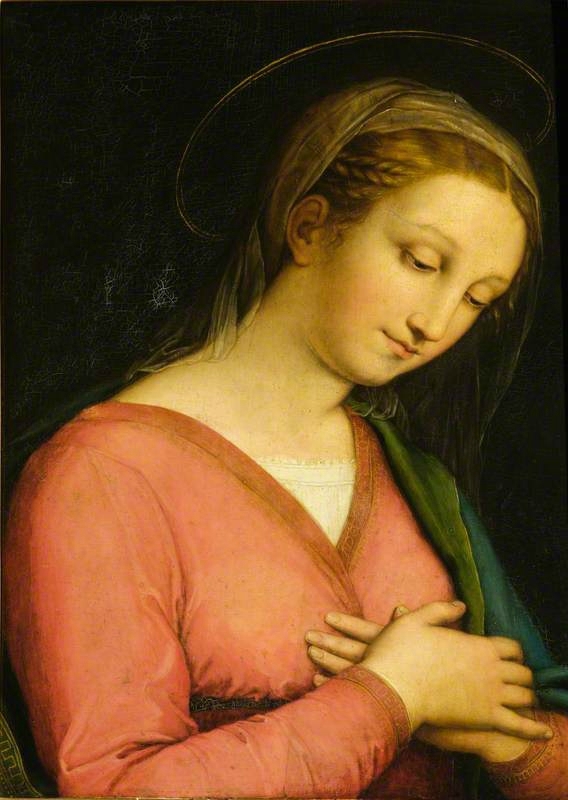 Possible Raphael discovered at Haddo House, first attributed to Innocenzo Francucci da Imola, The Virgin. Photo The National Trust for Scotland, Haddo House. EDINBURGH.- BBC experts examining the amazing art collection at the National Trust for Scotland’s Haddo House in Aberdeenshire have discovered two very important paintings, including a piece that is ‘probably by’ Raphael. The revelation comes in BBC4’s Britain’s Lost Masterpieces which airs on Wednesday 5 October at 9pm. 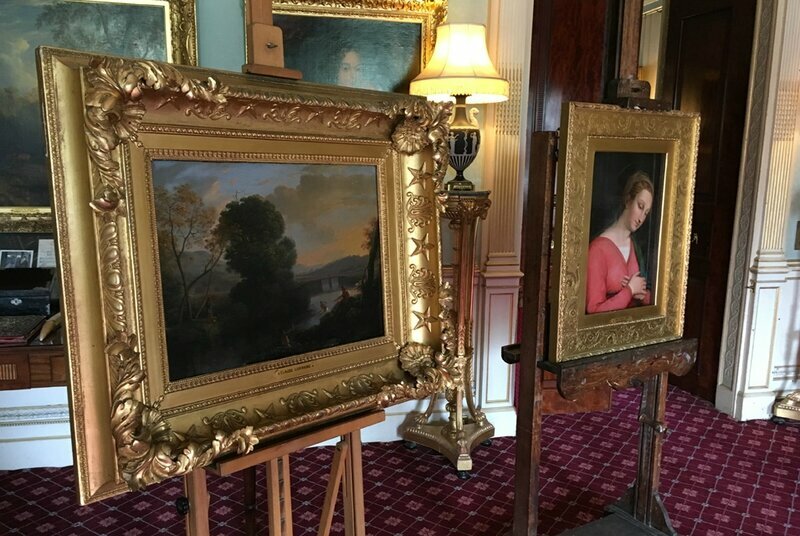 Art experts Dr Bendor Grosvenor and Jacky Klein spotted two paintings of interest in the dining room on the Art UK website, before they visited Haddo House earlier this year – a previously unknown landscape attributed to French artist Claude Lorrain and a portrait of the Madonna that was attributed to Innocenzo da Imola. 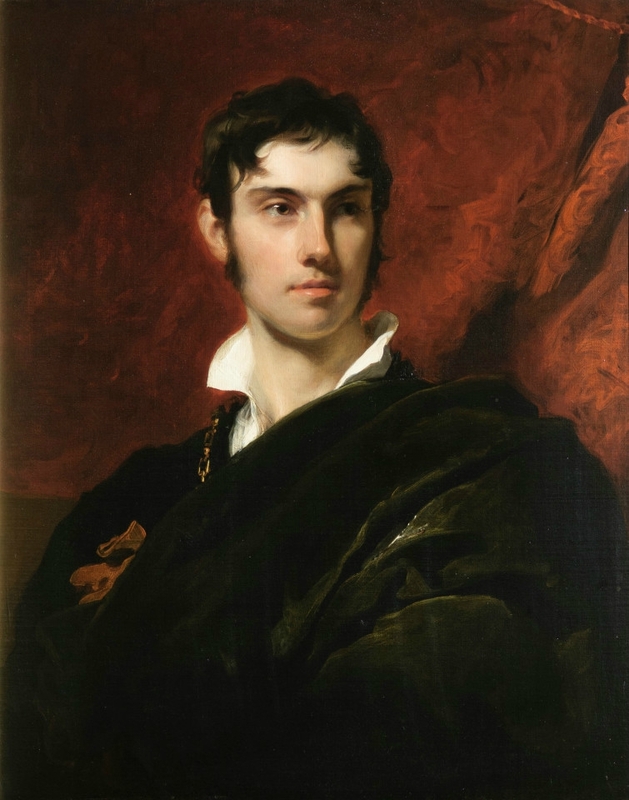 The paintings were acquired in the 19th century by George Hamilton-Gordon, the 4th Earl of Aberdeen and Prime Minister between 1852 and 1855. As part of the programme, the artworks were removed and professionally cleaned and conserved by Edinburgh-based conservator Owen Davison, enabling them to undergo detailed investigation. Claude is regarded as a very important landscape painter whose work has inspired generations of landscape painters, including Turner and Constable. 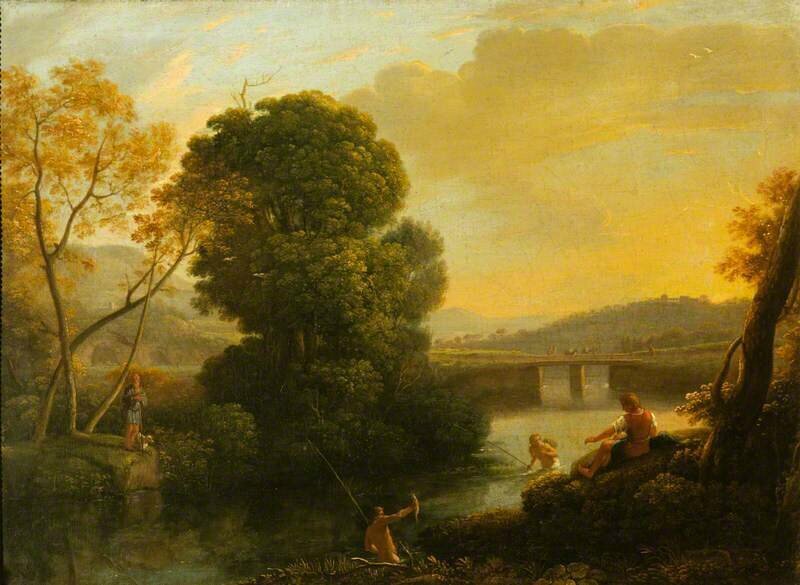 A Pastoral River Landscape with Fishermen is thought to be an early work. Claude Lorrain (Gellée), 1604–1682, A Pastoral River Landscape with Fishermen, Date unknown. Oil on canvas. Height: 43.2 cm (17.01 in. 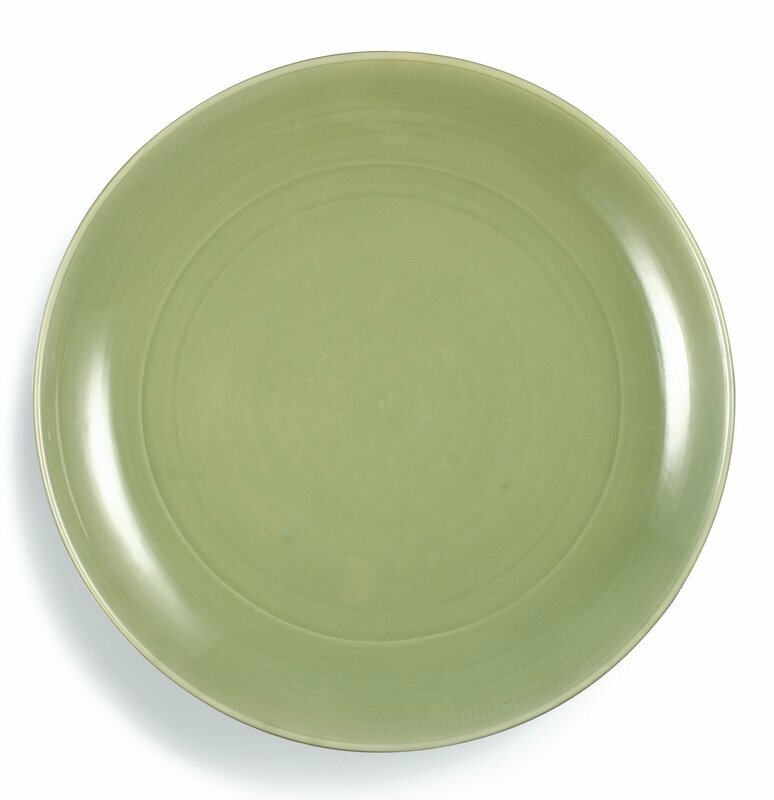 ), Width: 58.4 cm (22.99 in.). Resize. National Trust for Scotland. 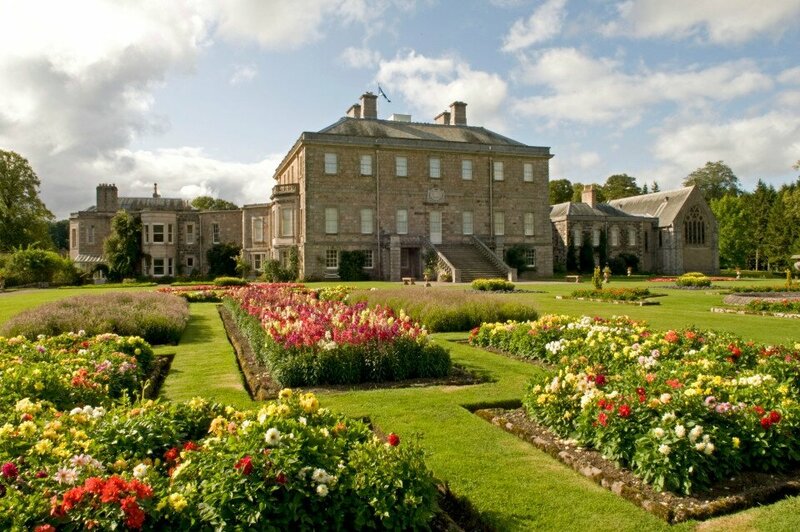 Photo The National Trust for Scotland, Haddo House. ennifer Melville, head of collections, archives and libraries at the National Trust for Scotland said: “The National Trust for Scotland holds so many treasures all over the country. 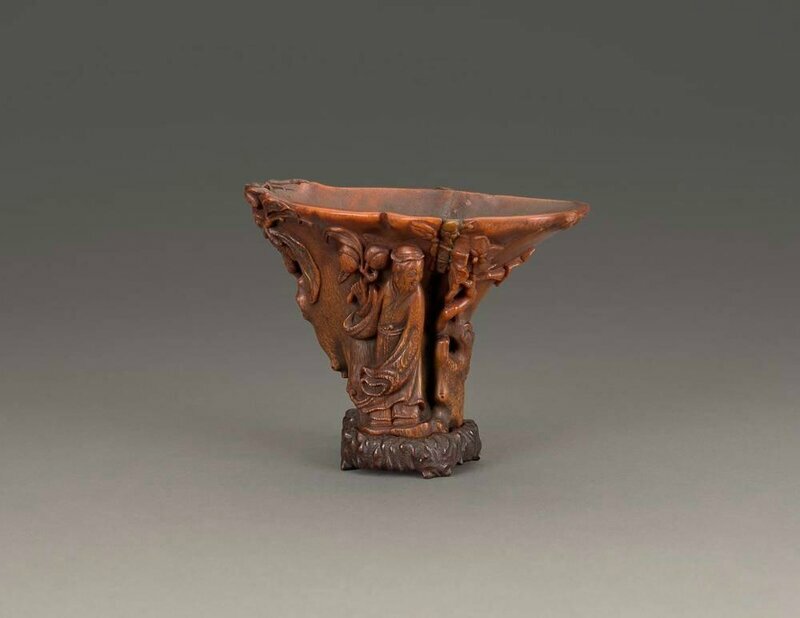 We always knew that the collection at Haddo was very special, and the discovery of these wonderful pieces confirms its importance in the Scottish art world. “It is rare for visitors to see works of this quality outwith a gallery, so it is a real treat to come to Haddo House and enjoy them in this wonderful setting. 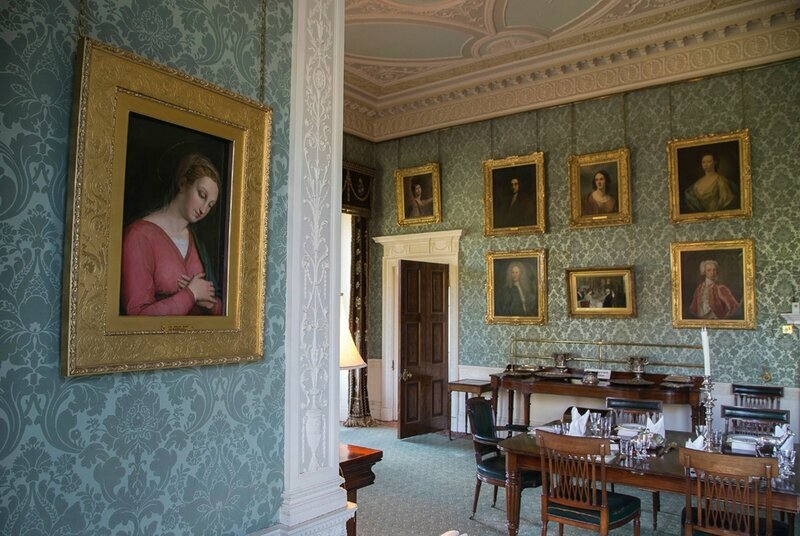 Haddo House holds a very fine art collection with hundreds of pictures, by artists including fantastic family portraits by Guizot, Paul Delaroche and Batoni.